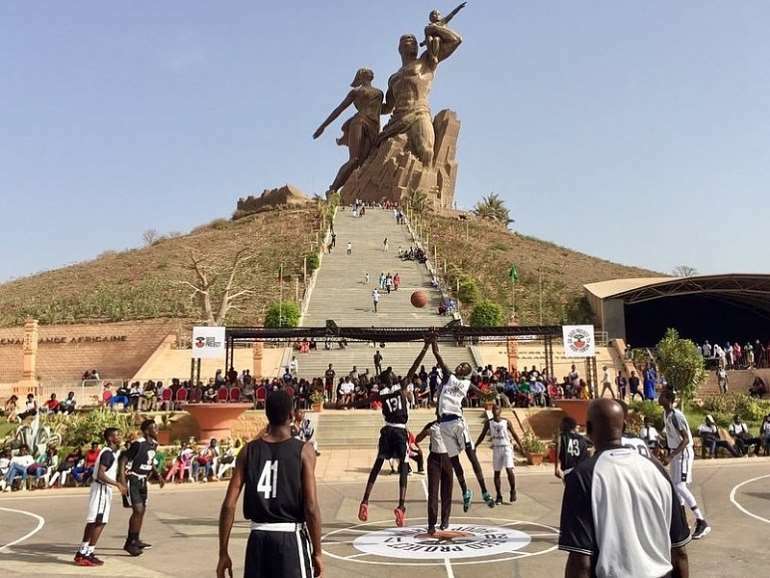 On February 16, 2019, it was announced that the National Basketball Association (NBA) and the International Basketball Federation (FIBA) would be launching a Basketball Africa League (BAL) in 2020. There were mixed reactions to this announcement. Some saw this as a good thing for the NBA. Meanwhile, others saw this as a bad thing for Africa. Now, the question to be asked: does the good outweigh the bad or vice versa? Let us unpack the pros and the cons by looking at the history of basketball in Africa before this announcement from the NBA & FIBA and the potential future of it after BAL launches next year. Basketball was introduced to Africa during the 1950s by missionaries and colonial administration(s). As the number of people practicing the game increased pre-independence of African countries, it appeared necessary to unify the rules and to launch continental competitions. The managers of the first African National Federations decided to integrate with FIBA . At FIBA’s sixth Congress held on 1960 in Rome, Italy, the Egyptian Basketball Federation was allowed to organize a General Assembly to rule over African Basketball. Thus, under the umbrella of FIBA and the Egyptian Basketball Federation, 12 African countries (Burkina Faso, Ethiopia, Egypt, Ghana, Guinea Conakry, Mali, Morocco, Libya, North Rhodesia, Sierra Leone, Sudan and Togo) held a Constitutive General Assembly in Cairo, Egypt. This Assembly created the “Association des Fédérations Africaines de Basketball” (AFABA). In 2002, AFABA became FIBA Africa . With 12 countries at its inception, FIBA Africa includes to date 54 country members. Also, for 2002, the Sports for Education and Economic Development (SEED Academy or SEED Project) was established by Amadou Fall, a Senegalese and the NBA’s vice president and managing director for Africa. Mission is to use education and basketball to develop the next generation of African leaders. Throughout the years, SEED Academy has served more than 2,000 students weekly across Senegal, Gambia and United States to ensure that youth have access to a quality education, high performance sports training, and the leadership tools for higher education, employment, and coaching. In 2003, the Giants of Africa (GOA) was founded by Masai Ujiri, a Nigerian and current president of Toronto Raptors. Mission is to use basketball as a means to educate and enrich the lives of African youth. To date, the GOA Top 50 Camp has developed players at the local, national, international and professional levels. GOA has grown to include four countries in Africa: Ghana, Nigeria, Kenya and Rwanda . From 2003 till present, the NBA has invested on the continent and has organized Basketball Without Borders (BWB) with lots of involvement by Amadou Fall. BWB is a basketball development camp in various African countries. BWB has held game competitions in Africa 14 times and hosted an exhibition event, the NBA Africa Game , in South Africa three times in the past four years, which all sold out. 9 former BWB Africa campers drafted into the NBA so far . In 2017, the Continental Basketball League (CBL) was started by Ugo Udezue, a Nigerian and former basketball agent in the United States. The CBL has teams in Nigeria, Gabon, Equatorial Guinea, Ivory Coast, Benin and Togo . The CBL has its own production company to show televised games in sub-Saharan Africa. CBL games have cheerleaders, music and entertainment similar to the NBA. They also has their own apparel and footwear company called AFA Sports , which Udezue owns. The name means “Africa for Africa” and represents a concept that highlights Africa’s sports development and national pride. Also, for 2017, the NBA and the SEED Project partnered to launch the NBA Academy Africa . The first of its kind on the continent to provide African student athletes with world-class, comprehensive training and education to achieve success on the court and in life. 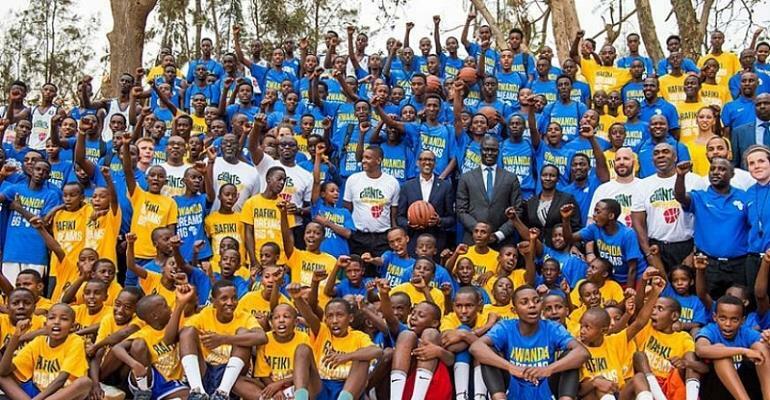 The NBA Academy Africa builds on the NBA’s existing basketball and youth development initiatives in Africa, such as Junior NBA programs for boys and girls ages 16 and under in Cameroon, Congo, Kenya, Morocco, Mozambique, Nigeria, Ivory Coast, Tanzania, Uganda, Senegal and South Africa . As one can see, there has been a lot of basketball related activities in Africa between 2002 until now. It’s not much of a surprise that both the NBA and FIBA went from talking about the possibility of an African basketball league to actually launching it soon in January 2020. Some of the cons or disadvantages for the NBA in Africa are: 54 fragmented countries, 54 different laws, regulations and borders, and lack of infrastructure (e.g. buildings, roads, power supplies) throughout the continent. Also, there are logistical challenges . For instance, not enough arenas to accommodate a tournament on the same scale as the NBA in America. Hotels, and of course travel, will need to improve too. Some of the pros or advantages for the NBA in Africa are: creation of new opportunities in sports, media and technology across the continent. In addition, several existing partners of the NBA have expressed a strong desire to work with them in Africa, such as Pepsi, Nike’s Jordan Brand and Disney . It also has the backing of presidents including Paul Kagame of Rwanda, Uhuru Kenyatta of Kenya and, notably, former US president Barack Obama . Moreover, it has the backing of Michael Jordan who posed for a picture at the announcement of the league. Overall, the NBA and FIBA’s involvement will include financial support and resources toward continued growing of the game on the continent, as well as providing training for players, coaches and referees and some infrastructure for the new league. At the end of the day, their support of a professional competition in Africa is very much a business move, from which the NBA will want to make money at some point.